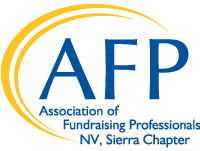 The Sierra Chapter, founded in 1988, is based in Reno and has more than 70 active members from Reno, Sparks, CARSON CITY, Lake Tahoe and the surrounding COMMUNITIES. The chapter offers educational luncheons, a yearly Training Conference and Cornerstone Awards Luncheon as well as many other unique opportunities for members such as our Mentor Program. Click on the activities below for more information on upcoming educational events.